James Joyce’s Ulysses is often considered the greatest book every written, OR an overly pretentious, self centred and dull piece of literature (usually by those that have had the book forced upon them in high school!). 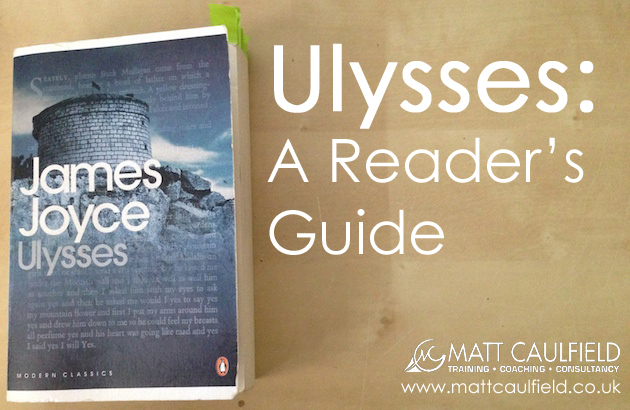 I consider Ulysses essential reading for anyone, especailly if you are an NLPer, hypnotist or coach. You will learn more about language, metaphor, critical thinking and your “reality tunnel” (our own personal perception of reality) in this book than any self-help, NLP or psychology text book. I first came across it in the works of Robert Anton Wilson (as an aside, if you are into NLP and NOT into Robert Anton Wilson, you are not really into NLP….) who raved on about the novel. I had heard of it, but luckily avoided having to study it at school (and therefore never built up the negative connection that many people have), I then heard of it again when Michael Breen discussed it during my Master Practitioner training and thought it was about time I tracked it down and read it, to see what all the fuss was about. After struggling through the first chapter (I went about it the wrong way, but more on that in a bit) I wondered what all the fuss was about and gave up, but something made me come back to it and give it another go. If you have trained in NLP and NOT read Ulysses you really should, right now. Be warned however, Ulysses is a dense, complex and complicated piece of work. James Joyce himself said that he had “put in so many enigmas and puzzles that it will keep the professors busy for centuries arguing over what I meant”. It will in turns amaze, infuriate, bore and anger you. That is its joy. You get out of it what you want to. I regularly re-read it (in fact, inspired by Bloomsday – the celebration observed annually on June 16th to celebrate the life of James Joyce and Ulysses , all of which took place on the same day in Dublin in 1904 – I read it every year at this time) and always get something new out of it. I must begin by saying that I certainly don’t claim to be anything other than an enthusiastic amateur when it comes to Ulysses and James Joyce’s work. There are scholars out there who have spent their whole lives studying it and are barely scratching the surface. But from on amateur to another, here are my suggestions about how to get into this amazing, but infuriating book. Do a bit of research about Joyce and the process of the writing of the novel as well as the historical and geographical background. Joyce made pages and pages of notes that he gave to friends and critics to help them understand the book that are nor actually included in the book, so it is worth looking up. It is also a good idea to understand The Odyssey by Homer as this is the strucutre that Uylesses is based around. Ulysses is written in several different styles and can be very confusing. There are also many interweaving themes and ideas in the book and sometimes it can feel like nothing has happened (and it is taking a very long time for that nothing to happen), having an idea of where the story is going can help you frame the part that you are reading right now and keep you going! Wikipedia is great place to start with this, with a wealth of (free) information. I have several versions and find this one the easiest to read (it also has one of the best introductions to the novel and notes). I found that by listening to the audio book when I am running or driving helps me understand and get through the novel. There is a lyrical quality to Joyce’s writing and listening to it read aloud can help your understanding of the novel. I recommend this version. Ulysses is a complex novel with many themes, it is worth having someone guide you through it. There are online guides, but if you want a simple and easy book, the CliffsNotes on Joyce’s “Ulysses” is pretty good. Don’t rush to get it finished, I often read a few pages a day, if that, and read other books at the same time. Sometimes it can take me up to 6 months to get through a reading, but that is the joy of it! Make notes on the text in the margins of the book and don’t be afraid to stop to look something up you don’t understand. 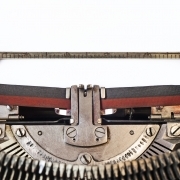 There are hundreds of mysteries, allusions and references to other work (and literary styles). There is so much it has kept academics busy for nearly 100 years so don’t expect to understand it all in one go! If you take your time and follow these pointers I am sure you will learn much from Ulysses and appreciate it as the modern masterpiece (and essential reading of NLPers) that it is. Once you have read Ulysses , next on your list should be Finnegans Wake …!